show the world what you've got. Each student is required to submit a lab journal for part of their project evaluation. The type of lab book required is one that is easily obtainable at stores such as Staples or Office Depot. 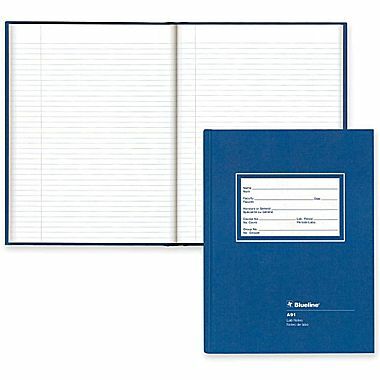 The recommended type is a Blueline Hardcover Flush-cut Composition Book (7 ¼” x 9 ¼”). They sell for under $10. Digital lab books are acceptable. Date every page of the book as you use it. Glue a copy of the experimental procedure or protocol in the notebook before the first time you use that procedure. Write down any observations you have during the experiment as soon as you notice them. If you make a mistake, cross it out with a single stroke and initial it. Do not remove any pages from the book. Do not use white out or liquid paper. Ensure your results are properly recorded as soon as the experiment is done.